When it comes to versatility, the Tipke Foldit Cart has no equal. 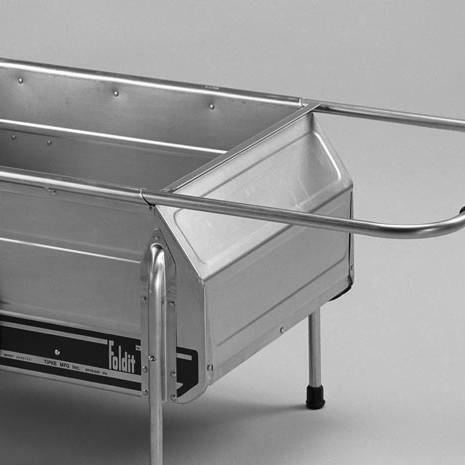 This cart is made of high-grade marine aluminum allowing you to move loads of 5.75 cubic feet and up to 330 pounds (cart weighs 33 pounds), making it an excellent choice for horse lovers and gardeners alike. Your loads will be evenly dispersed over the axles thanks to the durable 20" pneumatic wheels which provide added stability when traveling over rough terrain. For added versatility, a great line of optional accessories accompany the Foldit Cart. You can add on a trailer hitch to pull it behind a lawn mower/ATV or even a bicycle hitch if you want to hit the trails. To prevent accidents or spills, you may also want to consider the Foldit Rear Gate Assembly. A full height rear-gate helps reduce accidents and spills. This is the most popular add-on sold for Tipke cart. 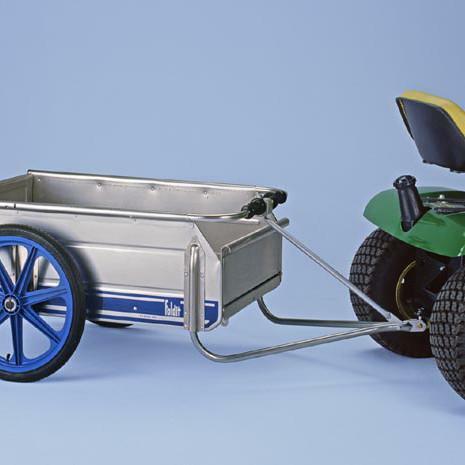 The Trailer Hitch add-on is perfect for pulling your Foldit Cart with your lawn mower or ATV. Makes moving large hauls easy. 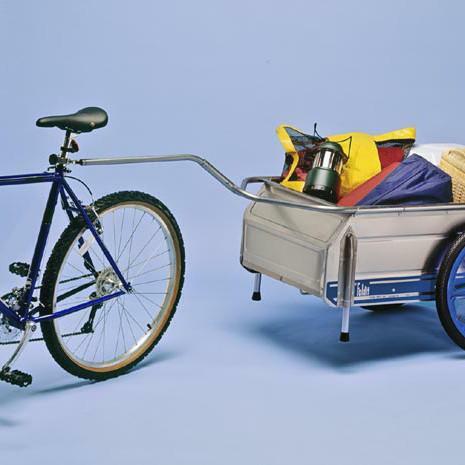 The Bicycle Hitch accessory gives you the freedom to pull your Foldit Cart behind a bicycle.